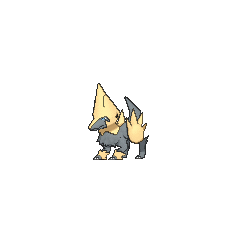 Mega Manectric in game: 70 Who? Important notice! Pokemon Mega Manectric is a fictional character of humans. 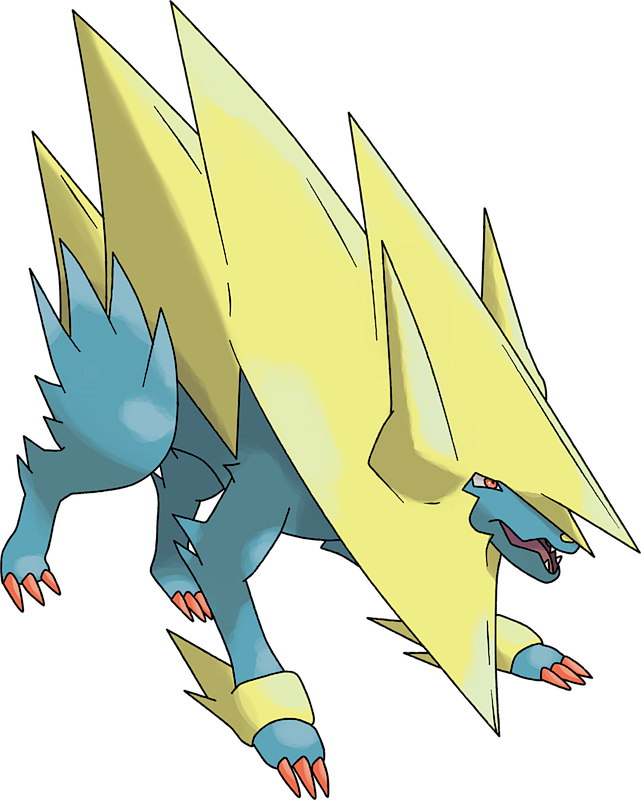 Manectric gathers electricity its mane and then discharges it. This process composes thunderclouds, which it uses in battle. Since lightning falls in its vicinity, it is said to have been born from lightning and make its nest where lightning has struck. 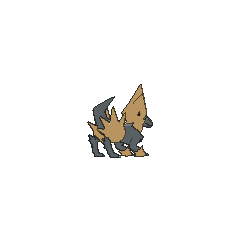 It lives in grassy areas, and often appears in front of people. 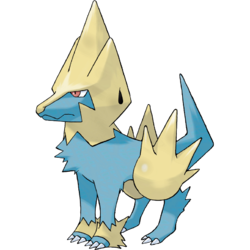 Manectric was first seen in the main series under the ownership of Wattson who obtained it as an Electrike in Watt's with Wattson? 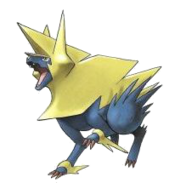 It evolved in A Manectric Charge where it battled against Ash's Torkoal and won. Officer Jenny in the Kalos region mostly use Manectric as Growlithe and Herdier are not native to the region. 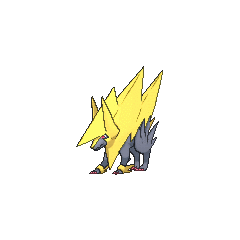 An Electrike that evolved into Manectric appeared in The Electrike Company! Five Manectric appeared in Arceus and the Jewel of Life under the ownership of Damos. 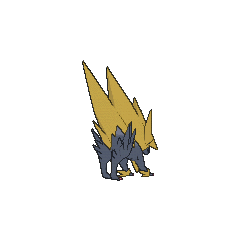 Celosia's Manectric made its debut in Meeting at Terminus Cave!. A Manectric that can Mega Evolve appeared in Volcanion and the Mechanical Marvel, under the control of Levi and Cherie's Mega Wave. Manectric made its debut in the opening of Jirachi: Wish Maker where it was used in a Double Battle alongside a Solrock. A Manectric appeared in the opening of Destiny Deoxys. Manectric made a cameo in Numero Uno Articuno! as one of Noland's Pokémon. 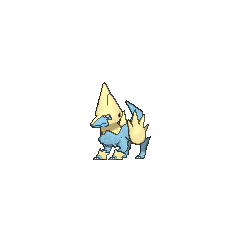 A Manectric belonging to a Coordinator appeared in What I Did for Love! participating in the Performance Stage of the Gardenia Contest. A Manectric appears in Arceus and the Jewel of Life as one of the Pokémon under Damos's ownership. A Manectric that can Mega Evolve into Mega Manectric appeared in Mega Evolution Special I.
X obtained a Manectric that evolved from an Electrike. He later named it Élec. 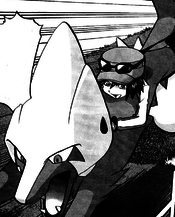 In the manga adaption of Arceus and the Jewel of Life, Marcus owned a Manectric and he used it along with his other Pokémon to attack Arceus. Manectric is constantly discharging electricity from its mane. The sparks sometimes ignite forest fires. When it enters a battle, this Pokémon composes thunderclouds. Manectric discharges strong electricity from its mane. The mane is used for collecting electricity in the atmosphere. This Pokémon composes thunderclouds above its head. Because lightning falls in their vicinities, Manectric were thought to have been born from lightning. In battle, they compose thunderclouds. It discharges electricity from its mane. It composes a thundercloud overhead to drop lightning bolts.